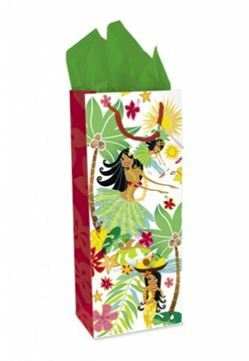 Wine Bag: 5 1/4" x 13" x 3 1/4"
These gift bags were great & included tissue paper. They were actually nicer than I expected so I’m very satisfied with my purchase. I ordered the small bag, and found that it was generous in size, and accommodated the candies & dish that I was giving as a thank you gift. Once filled it presented very nicely. I would highly recommend this well made attractive bag. Beautiful. Will use for xmas gifts.